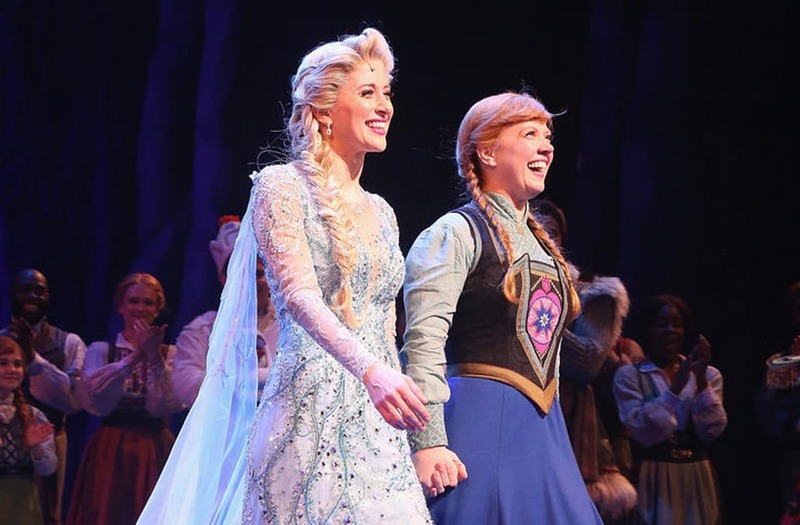 Cold may not bother the cast of “Frozen” on Broadway, but a Donald Trump supporter certainly did during an unexpectedly political curtain call for the kid-friendly show. While the cast took bows after Wednesday night’s performance, a front-row audience member sporting a “Make America Great Again” visor decided to start waving a “Trump 2020″ flag. Actor Timothy R. Hughes, who plays the Troll King in the Broadway adaptation of the blockbuster Disney musical, was having absolutely none of it, however. Hughes snatched the flag from onstage, disposed of it quickly and continued his bows. What does it say about our country and politics when a man at the show tonight felt the need to protest Disney’s Frozen on Broadway with a pro Trump flag? ?” Hughes wrote alongside a video of the incident. “How frightening is it that our show’s messages of love, acceptance, and diversity have become the opposition to supporting Trump? “Not at our show! Not in front of my beautiful, diverse, talented cast at @frozenbroadway,” he concluded. Instead of internalizing the message of the show’s anthem, “Let It Go,” the Trump supporter apparently stood outside the theater after the show threatening to sue if he was not given back the flag, according to a fellow theatergoer.